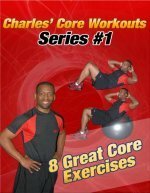 Here is a brief video with 2 advanced ab exercises from Pilates. Hip Circles and the Teaser Move are two of the best pilates ab exercises. Pilates (pronounced pi la teez) is a fitness system developed in Germany by gymnast Joseph Pilates. Once popular only in dance in gymnastic circles, Pilates has become main stream in the fitness industry. Pilates is a great form of exercise and a great way to strengthen the abdominals and core. Here are some additional pilates ab exercises and here is one of my favorite pilates ab exercise- the 100. There are many different pilates exercises, but remember that Pilates and ab exercises are only a part of getting a smaller waist. If you want to slim down your waist and lose stomach fat, you will have to lose weight and body fat through increased activity and better eating habits. Visit the Picture Directory of Stomach and Ab Exercises to learn more of the best ab exercises.